The champions of India, Aizawl FC begin the defence of their title by kicking off their campaign at the home of their Hero I-League 2016-17 winning coach Khalid Jamil’s Kingfisher East Bengal at the Vivekananda Yuva Bharati Krirangan (Salt Lake Stadium) in Kolkata on Tuesday (November 28, 2017). It will be a melee of familiar faces with as many as four former Aizawl FC players, Lalramchullova, Laldanmawia Ralte, Brandon Vanlalremdika and Mahmoud Al Amna alongside Khalid Jamil will line up against their former team in Red and Gold colours. However, the previous season started the same way for both the teams as they faced off on the opening day with the spoils shared at the Barasat Stadium. The reverse fixture was won by Aizawl FC, the season only spiralling downhill for Kingfisher East Bengal from there and this time they would hope to avenge their loss. Khalid Jamil having taken charge of the Red and Golds since the summer had a fruitful Calcutta Football League during the close season and now sets his sights on the bigger prize. “It is a big challenge. We need a positive start. We are going to play with a good team. Won’t be an easy match. I have got accustomed to East Bengal. It’s been a long time since I have left Aizawl. 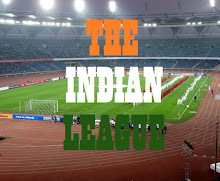 Even playing at the ground (Salt Lake Stadium) will be a challenge”, said the former Mumbai FC coach. India internationals Salam Ranjan Singh, Arnab Mondal and Mohammed Rafique will have the foreign contingent of Willis Plaza, Charles D’Souza and Bazzou Armand to rely upon. Eduardo Ferreira and star playmaker Katsumi Yusa jumped ships from cross-town rivals Mohun Bagan and the inclusion of Al Amna makes Kingfisher East Bengal’s midfield an envious one this season. Mehtab Singh has recovered from a fever and so has Laldanmawia Ralte after picking up a knock the previous day. Eduardo Ferreira’s inclusion in the starting lineup is a touch and go case. As for Paulo Menezes, most of the title-winning players have left for greener pastures and he will have the hard task of building the team from scratch. However, the Portuguese has been with the team since August and Aizawl are also involved in the business round of their local state competition, the Mizoram Premier League, having played their first leg of the semifinal last Thursday. Only skipper Alfred Jaryan continues with the side from the Mizo hills. Former Minerva Punjab defender Kareem Omolaja joins the side and with the induction of Masih Saighani, Andrei Ionescu, Yugo Kobayashi and Leonce Dodoz, Aizawl FC have mustered up a strong foreign contingent. Local favourite Shylo Malsawmtluanga (injured for the game) and David Lalrinmuana, both former Kingfisher East Bengal players will only make the familiarity factor between the two sides stronger. Liandala Sena, Andrei Ionescu and Jonathan Lalrawngbawla are injured as well. “It’s a very good challenge facing East Bengal in the first game. All the teams want to beat the champions. We are ready to compete”, the Portuguese said. The Hero I-League returns to the refurbished Salt Lake Stadium after 675 days and Kingfisher East Bengal will be hoping to stamp the early authority in their bid to win their first-ever I-League trophy. They will face stiff resistance from Aizawl FC, who with a revamped side will be itching to prove that their title-winning season last time was no fluke.